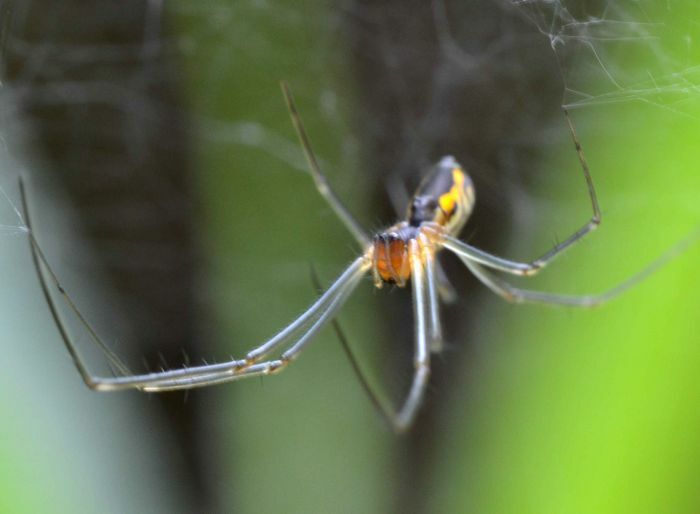 Neriene radiata (Filmy Dome Spider). Size: approx. 20-30 mm. Photo: 08/09/11, 2 pm. This is probably a Filmy Dome Spider (Neriene radiata). 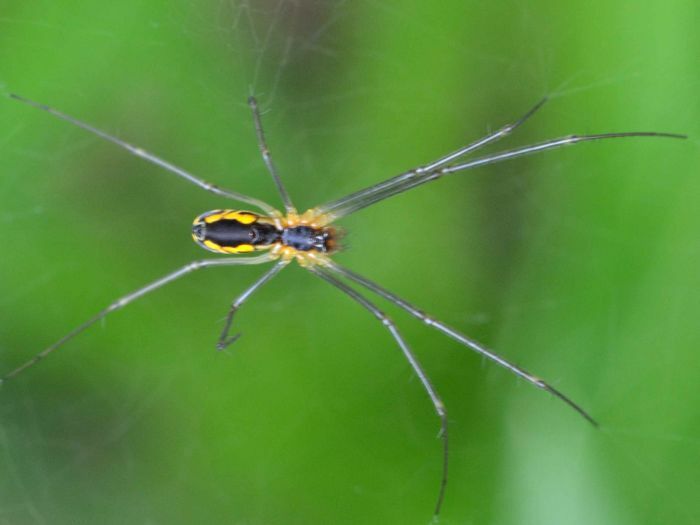 This species produces a dome of fine silk. The spiders then position themselves upside-down under the web. The second link has photos that match this specimen perhaps slightly better than most posted in the bug guide. The body without legs is approx. 5 mm long.